Do you know your insurance score? If you’re like many people, you may not even realize that you have an insurance score, but this is a critical factor for determining insurance premiums. 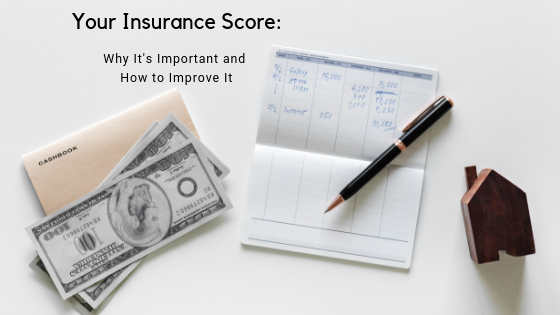 Here’s what you need to know about insurance scores, along with how to improve a negative score. Simply put, an insurance score, which is also known as an insurance credit score, is a numerical ranking or point system. Based on various factors, insurance scores are used by insurance companies for predicting risk and underwriting decisions, besides deciding how much to charge for premiums. Your insurance score is the main factor for determining the total premium you need to pay for insurance policies, which includes health, auto, homeowners and auto policies. Insurance companies use several types of property claim databases, such as CLUE (Comprehensive Loss Underwriting Exchange), A-PLUS (Automated Property Loss Underwriting System) and others to come up with an insurance score. Maybe you’re thinking that an insurance score is the same as a credit score, but they’re different. Insurance scores pertain to odds of having another insurance claim or accident in the future, rather than being based on your ability to repay borrowed money, which is a credit score. In other words, your insurance score focuses more on stability issues, while your credit score emphasizes the amount of credit that you’re able to manage. A favorable insurance score is important because it can mean paying lower premiums. On the other hand, having a lower score can show that you belong to a group that is more prone to having future claims. However, if your credit history has some items that are below average, you may still have the chance of obtaining a lower rate since below-average factors, as well as above-average factors, are evaluated. To get a positive insurance score, you need to have a good credit history. Another factor linked with a favorable score is not having any late payments or past due accounts. Furthermore, it helps to have several open accounts that are in good standing, in addition to a low use of available credit. If you have too many past-due payments and/or collection accounts, you probably have a negative insurance score. Also, having several recent applications for credit can be a reason for an unfavorable score. Using too much available credit can be another factor for a bad insurance score. Other problems that can negatively affect your insurance score are liens, foreclosures, and bankruptcies. If you do have a low insurance score, take heart. Fortunately, there are several things you can do to improve your score, which can lead to lower insurance premiums. Pay your mortgage and loans on time. Reduce your overall amount of debt. Be sure your accounts are in good standing. Restrict the number of credit applications you make in a short span of time. Find out the amount of available credit you have. Consider that if you’re using all or most of your available credit, it’s generally seen as a negative factor. Insurance scoring is fair because your insurance company won’t reveal information regarding their scoring system, meaning you don’t have to worry about misuse. Although your income can’t be used for determining a credit score, it can still influence it, since a higher income can increase your ability to pay your debts and improve your credit score. Review your credit history by getting a report from one of the three primary credit agencies, which include Experian, Equifax, and TransUnion. Be sure there aren’t any errors, and if you do find mistakes, correct them immediately. Even though you may have a favorable insurance score, other factors can also determine your premium rates and terms of your policy, such as a poor driving record. Questions? 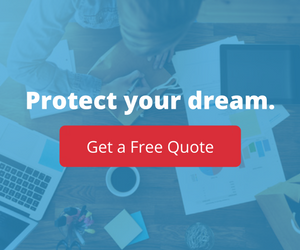 Visit the insurance pros at InsureYourCompany.com where we work with a wide range of business but mostly focus on single-person LLC’s in tech and small New Jersey businesses. Please contact us.